I was nominated by my friend and fellow writer Kat Impossible from the blog Life and Other Disasters. She rarely nominates me directly for these things because she knows I don’t always have the time for them and because they don’t always apply to me, so when she can nominate me for one, I do try to do it. 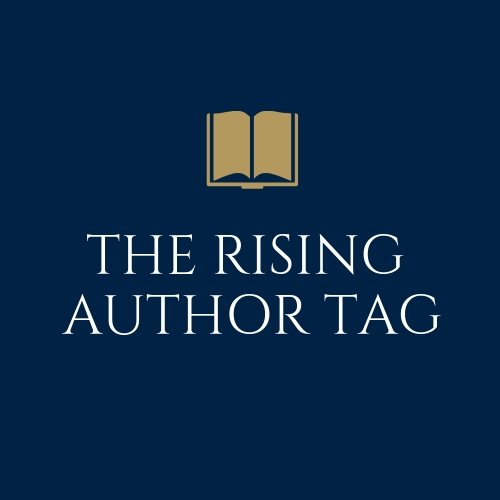 And the Rising Author Tag, to boot! It means so much that she thinks so highly of me, especially since she’s not a fan of horror and that’s mainly what I write. Danke, Kat! I really appreciate it. Answer the questions they came up with. Nominate four people to do the tag (no tagging the person who tagged you originally). Come up with 10 new questions for the people you nominated. I’ve already thanked Kat for this, so I’m good on that front. Here are the questions she has charged me with answering. What is your current WIP about and what is its status (plotting, writing, editing, etc.)? Well, I’ve got a few stories that are in various stages of writing and editing. 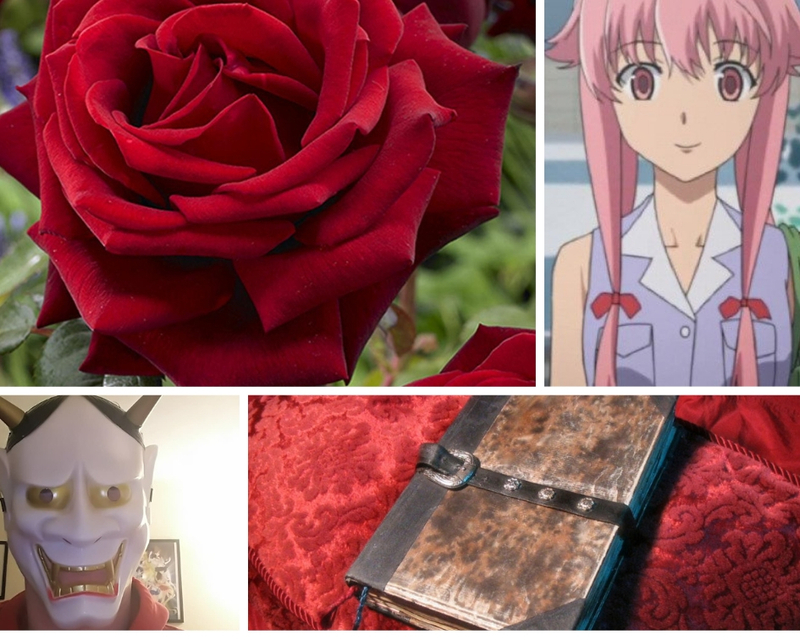 However, I think I’ll talk about Rose, as it’s probably the one I need to talk about the most! So if you haven’t heard, Rose is a novel I originally wrote in my senior year of college as my thesis. Last year I began the long process of editing and shopping it around, and Castrum Press, based in Belfast, North Ireland, accepted it for publication earlier this year. At this time, they’re looking it over to see how much more work needs to be done before we can talk publication dates. As for what it’s about, Rose follows a young woman who turns into a plant creature (yeah, you read that right). She beomes that way when a young man claiming to be her boyfriend performs magic to save her life after she suffers a terrible accident. However, she starts to suspect that not all is as it seems, and as she looks deeper into her savior, she finds things out that will put them both on an unavoidable path of destruction. Do you plot things out and/or outline, or do you just figure it out as you write? With very few exceptions, I plot and outline my stories out before writing them. I find that trying to write by the seat of my pants leads to long pauses where I try to figure out what happens next and come up with nothing. When I plot/outline, I have an idea of where I’m going, which allows me to imagine out the story before I sit down to write it. There are a few stories where I don’t need to outline, but the plot’s usually fully-formed in my head with those stories, so I don’t think it really counts. What are some book ideas you want to write in the future? I keep a list of story ideas I’d like to write in the future, so I don’t forget any good ones. I doubt I’ll get to write them all given how many there are (not to mention short story ideas), but I’d like to write stuff that people will remember for years to come. In the meantime, I’ve had some thoughts about what I’ll write after Rose and River of Wrath (the other novel I wrote) are out/in the process of being published. There’s one about a school haunting that appeals, as well as one partially inspired by the Salem Witch Trials, and a few more. We’ll just have to see what feels right when the time comes, shall we? Out of the characters you’ve written so far, which one’s your favorite? I’m not sure I have a favorite. After all, these characters are like my own children. I can’t pick a favorite among my kids! Even if some of them are dangerous killers or demons or whatnot. I usually write on my couch or at my desk with some sort of music playing in my earbuds. What sort of music changes pretty frequently. These days, it’s mostly the albums from various musicals. Not sure why, they just appeal right now. I also mainly write in the evenings, just because that’s when it’s easiest for me to write: no work, no dinner to prepare, no emails to answer. Obviously, if I’m able to write full-time one day, that’ll change, but at the moment it works for me. Oh, one more thing: I always make a goal to write at least a thousand words when I sit down to work on a story, up from two hundred and fifty earlier this year. After that, it’s pretty easy to keep going, but it can be a challenge to get to a thousand some days. Still, I manage to do it, and it helps my output in the long run. Maybe someday I’ll be able to make a minimum of twenty-five hundred words a day (Stephen King’s minimum threshold, or so I hear). Fingers crossed that someday I can make all that and more happen. Show your WIP’s aesthetic in images and/or words. Kat did one with images that’s supposed to get to the basics of what she’s written, so I tried to do something similar. Once the book’s out, most of these images will make a lot more sense. I think I would write even if it weren’t for anyone other than myself. I have so many stories floating in my head that I need to exorcise them through writing so they can get out of there. But at the same time, I write because so many people want to read my stories and I want them to read them, so I keep trying to get those stories out there and build my audience. With any luck, I’ll be able to get a lot of people interested in my stories and they’ll come back to them time and time again. What do you find the easiest and hardest parts of writing? The easiest is coming up with the ideas for my stories. There are so many ways to scare someone, they just pop into my head and become stories. Sometimes I have several ideas in a single day just going through my daily routine. The hardest, however, is staying on task. My ADHD sometimes makes it difficult to concentrate on getting my daily thousand-plus words out. Once I reach a thousand, that’s usually not a problem, but until I do, it can be difficult to stay focused. Share a tiny snippet/excerpt from your WIP, if you’re comfortable. Since Rose is still under renovations, so to speak, I’ll hold off for now. When the book’s a bit closer to publication, then I’ll give you all some excerpts. Tell us about what you’re working on or recently released. Where in the process of writing are you? What is the most difficult part of writing the story at this point? What about your main character do you like the most? What is your writing process/routine, if you have one? Do you pants your way through a story, or do you plot it out? What are your characters’ musical interests? What’s next for you in terms of writing? If you could pick a narrator for your story’s audio book, who would you pick? Share an excerpt or snippet, if you’re comfortable. And I tag my buddy Matthew Williams from Stories by Williams, Angela Misri from A Portia Adams Adventure, Ruth Ann Nordin, Joleene Naylor, and ANYONE ELSE WHO WANTS TO DO THIS TAG! That’s all for now, I’ve got to get dinner on the table in a few minutes. Until next time, my Followers of Fear, pleasant nightmares! Wow, you were really quick with that one 🙂 I always enjoy reading about everyone’s routine and preferences when it comes to writing. It’s so interesting to see how different it is for everyone. Best of luck with the remaining work on Rose! Thanks Kat! Glad you liked the post.